This is the start of the new programme, so check the programme section of the website to see what is coming up in the months ahead, there are old favourites like the Party in December – what a great time we had last year – and new ideas – designer evenings where we choose a designer or well- known machine knitter and look at their ideas doing demos of aspects of their work. This month we concentrated on the excellent videos created by Diana Sullivan in Austin Texas. She has put online, using Youtube, the most comprehensive set of teaching videos which are also the most user-friendly. the main London Knitting and Stitching show at Alexander Palace. Next month we need to bring our cheque books to pay our half-yearly club subscriptions. 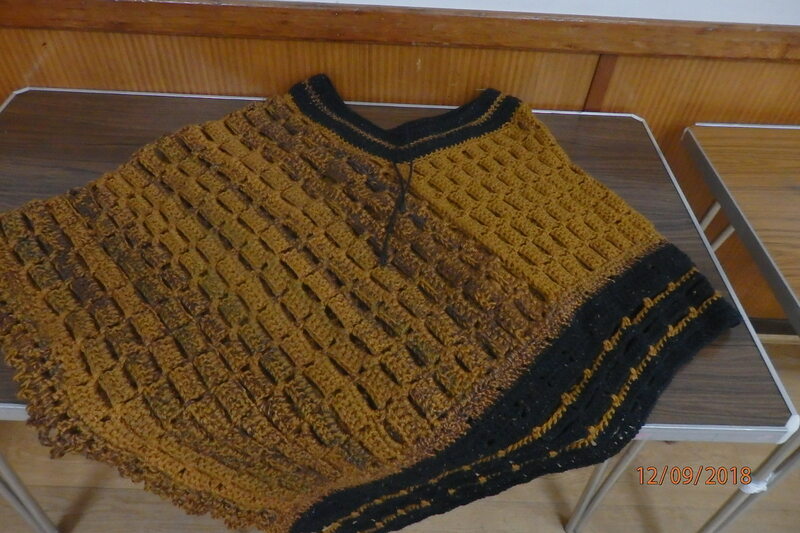 Margaret is setting up a Charity Knitting group with the U3A, is will be hand knitting, initially. The first meeting is on 22nd October – contact her if you intend to go along. 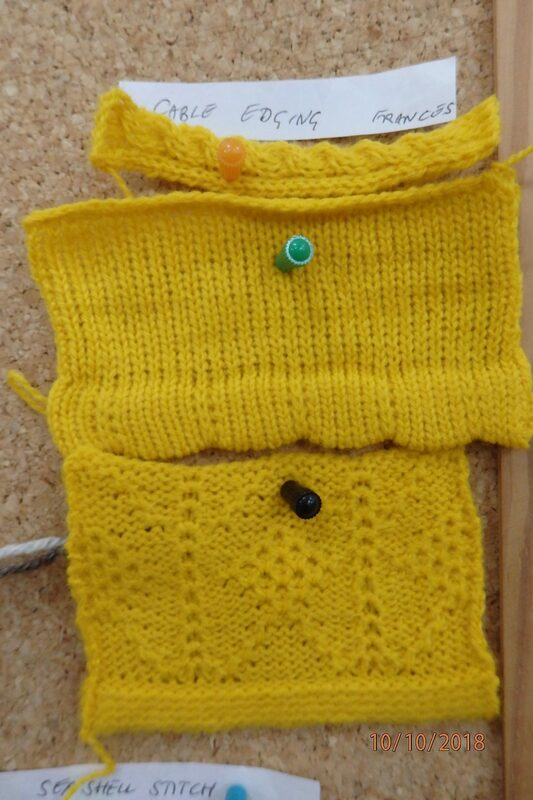 The show and tell this month demonstrated that some people knitted through the extremely hot weather earlier in the summer. 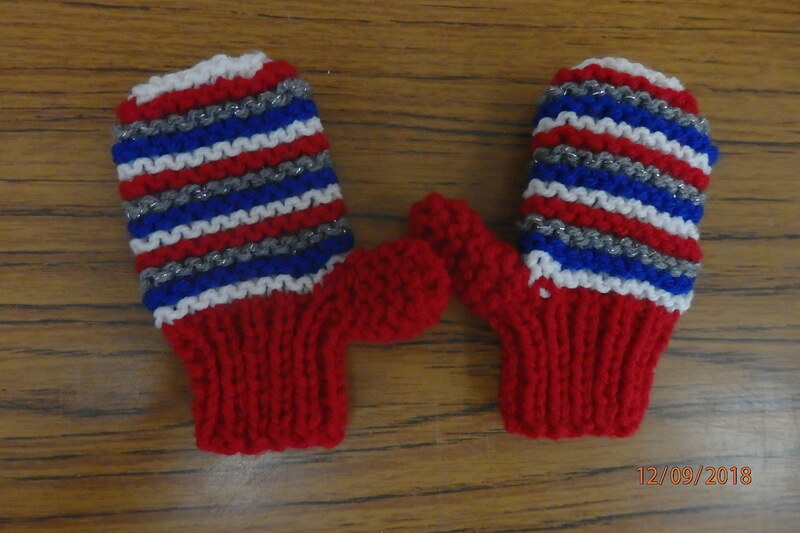 Gillian has hand knitted some items for small children, these mittens were tiny. 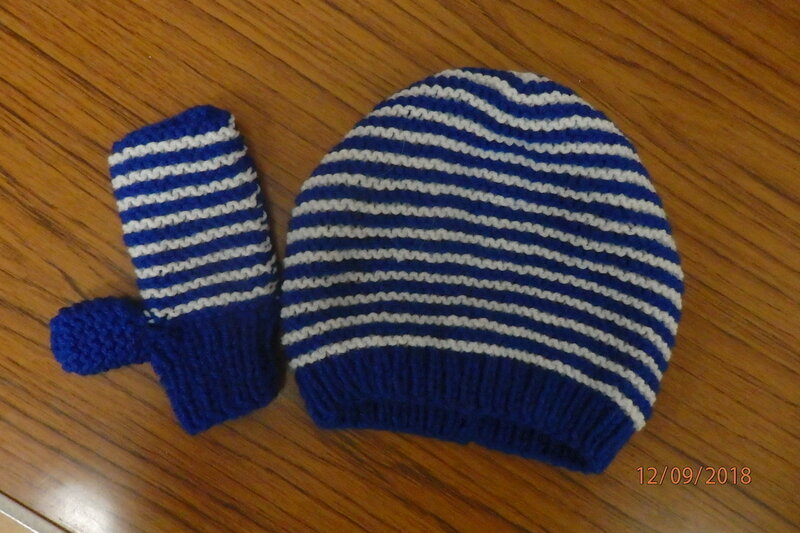 This is another of Gillian’s makes, a small warm hat and one of a pair of mitts. 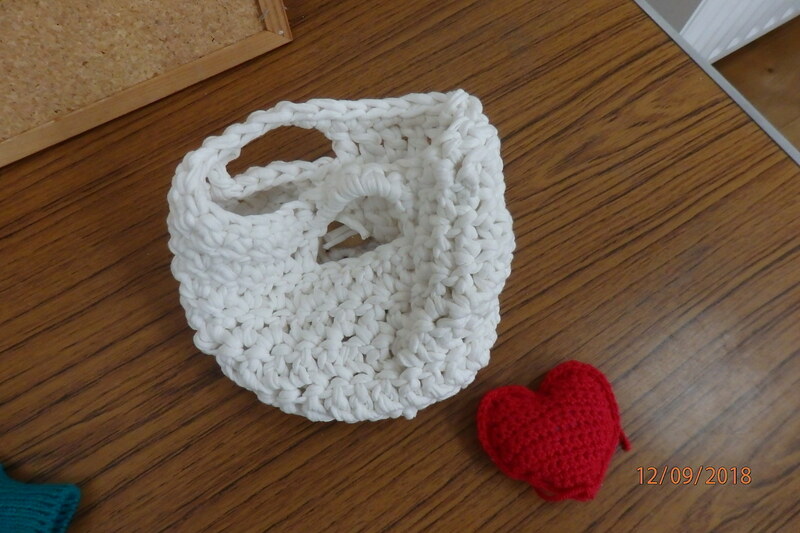 Dawn has been making a crochet basket from some t-shirt yarn and a sweet little crochet heart. 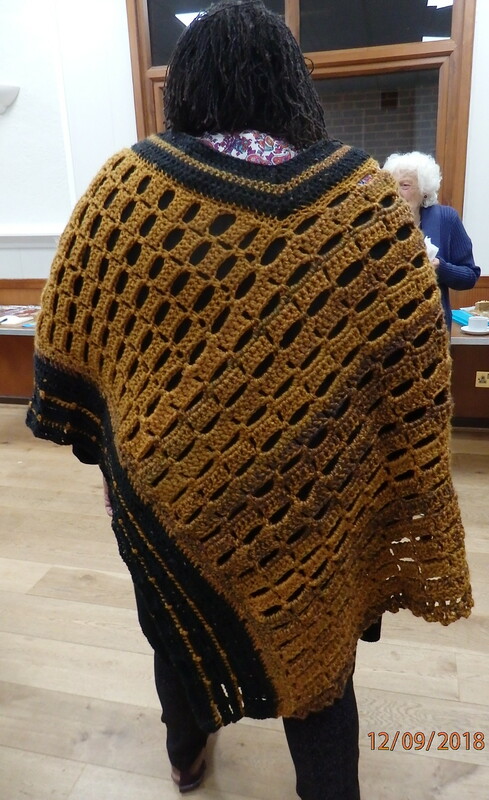 Angie has designed and made a super poncho in the most unusal colourway. 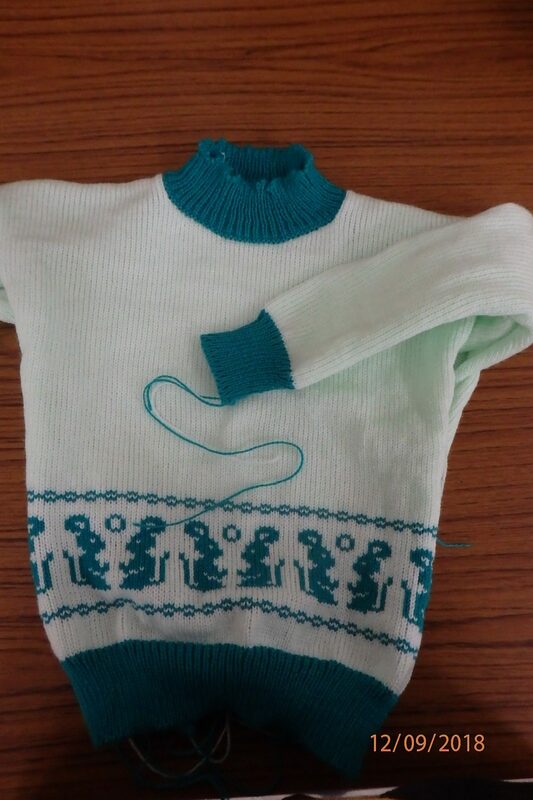 Barbara brought the jumper she was working on for a charity – a child’s fairlisle jumper, just the sewing up to do now. 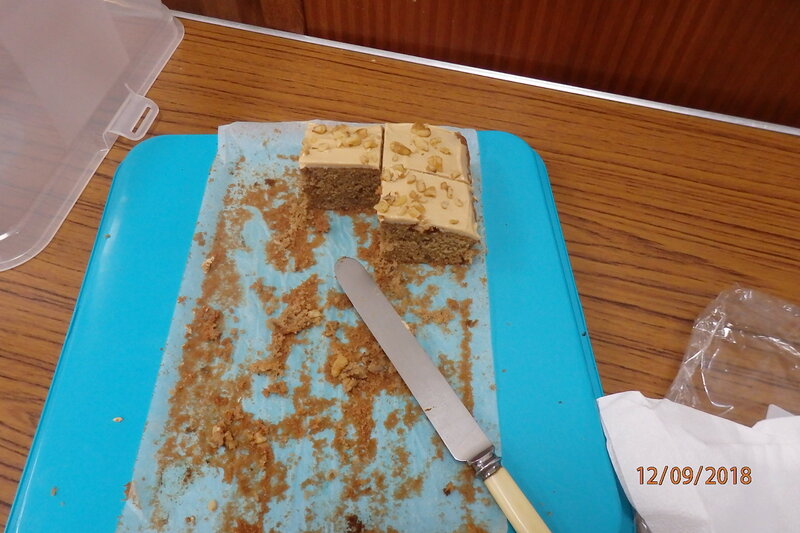 After the brilliant show and tell, we had our usual tea and coffee break, with cake of course. The rest of the evening was taken up with demonstrations by committee members of various interesting ideas by Diana Sullivan. 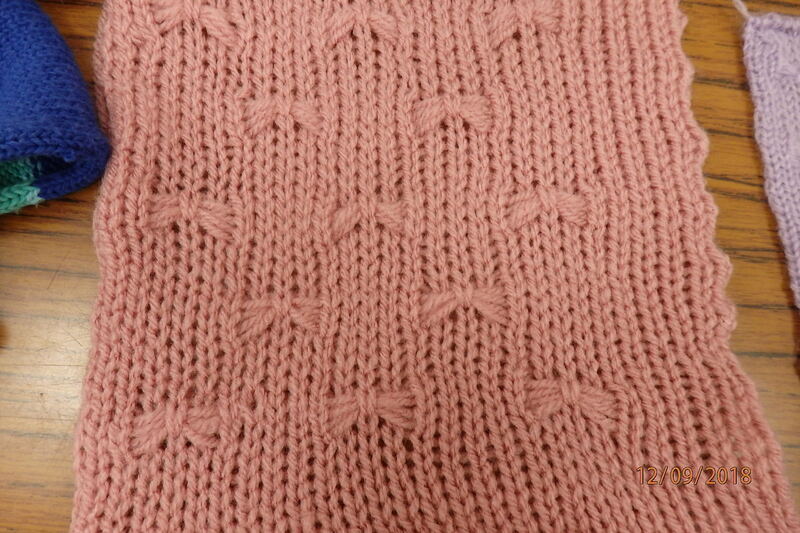 Dragonfly Stitch – demonstrate by Gill. A curly fringe, demonstrated by Margaret. 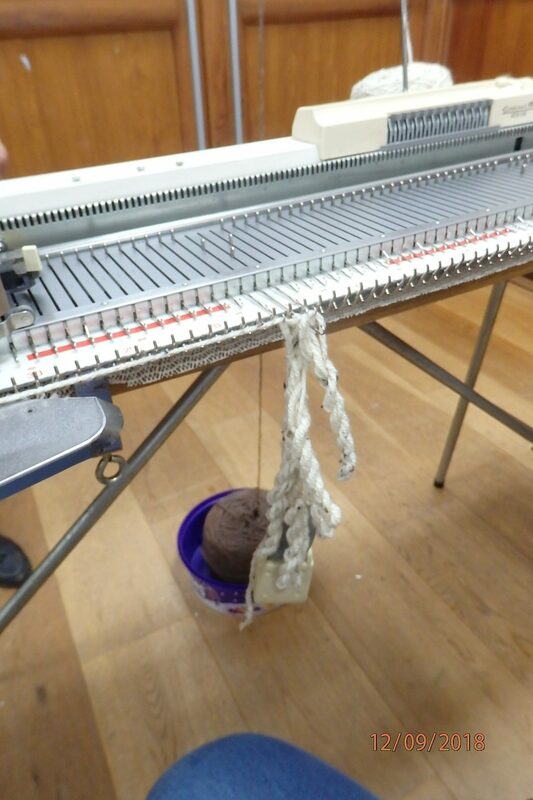 Frances demonstrated a cabled edge. 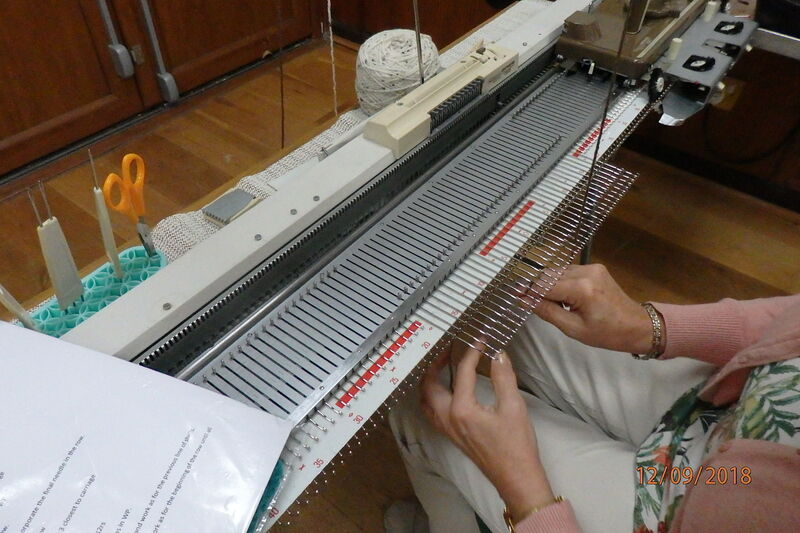 Lyn demonstrated a fold over edging.